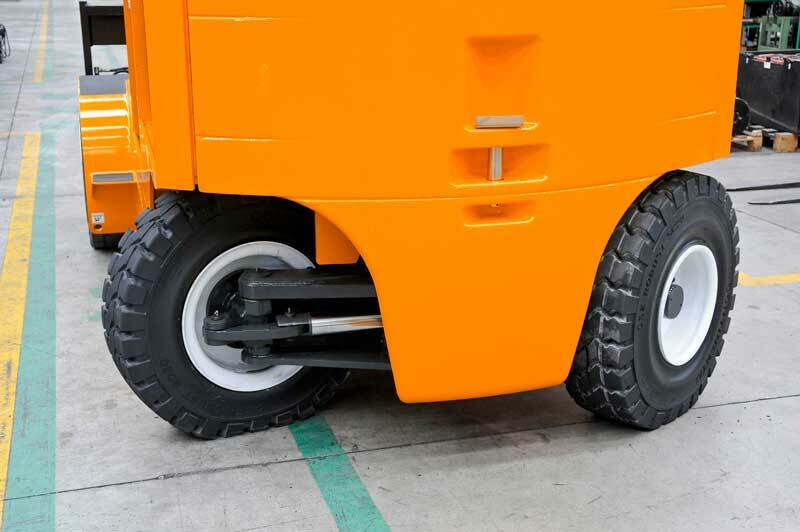 The newly-designed electric forklift trucks are developed at a voltage of 120 Volt to provide maximum efficiency and long operating time. 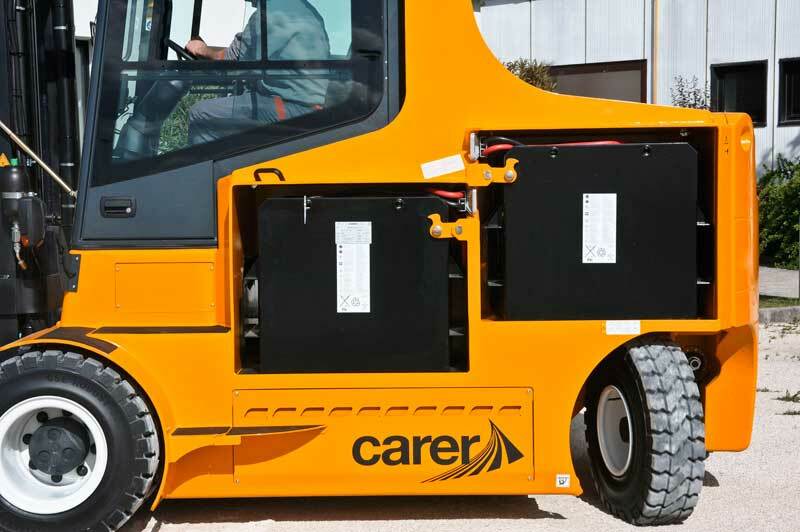 The Z100-120 HD is the ideal forklift truck to handle heavy loads with top safety and reliability. The 120 V technology and development of the machine based on the concepts of power and efficiency offer high performance and long operating time. 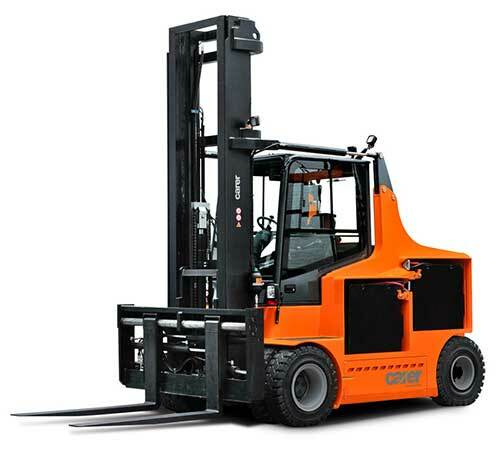 The power of the motor, which is managed electronically, gives these forklift trucks unmatched ignition, speed and maneuverability. The acceleration is gentle and gradual and is only used to contain consumption and increase operating time. The cabin, which is separated from the frame, provides extremely high operator comfort. Mounted on a silent-block system, it reduces vibration and noise as much as possible. 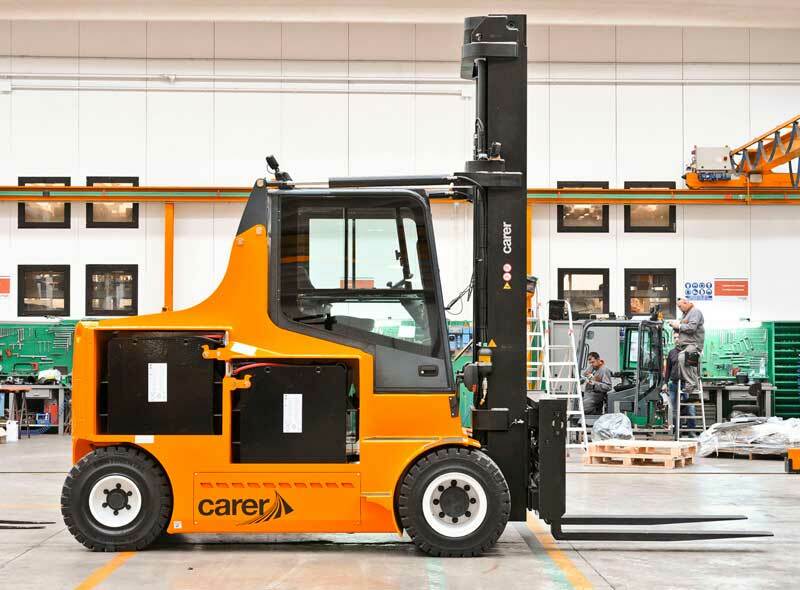 All the surrounding area is clearly visible from the driver’s seat and you can easily perceive the overall dimensions of the forklift truck. 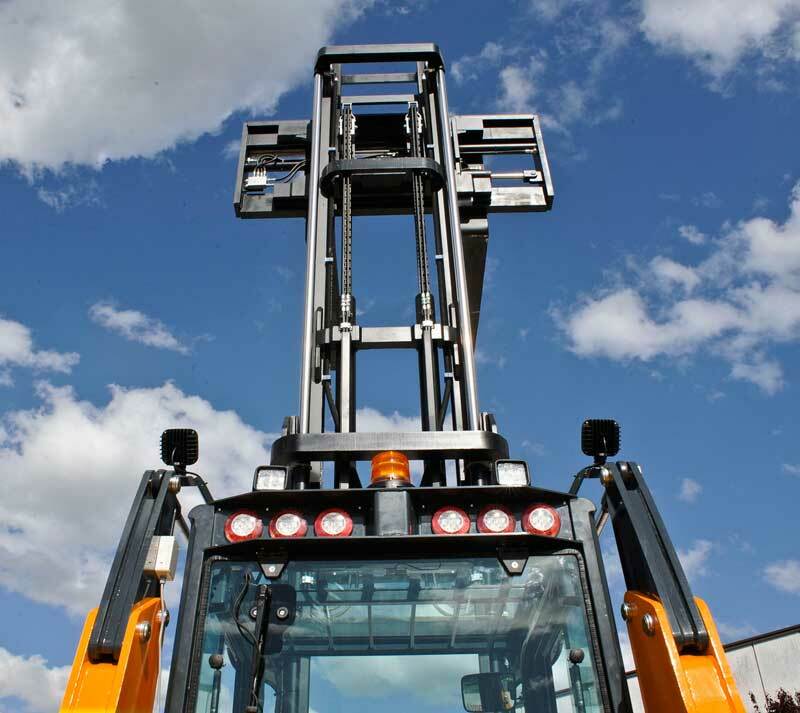 There is good visibility even when handling bulky loads, which ensures an optimal driving position for the operator for maximum visibility and increases the vehicle’s safety level. Capacity 21,800 - 26,000 lbs.